Front door units are readily available from many sources that have transoms and side lites already built-in. However, did you know that exterior units can be easily customized to match your interior transoms and side lites? How? Most door units can be readily ordered with the sidelites and/or transoms not installed. Then order your matching interior and exterior units from Transoms Direct. 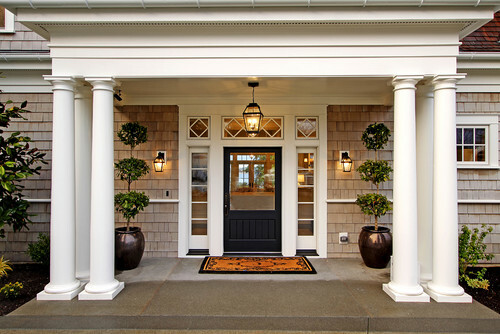 This way the transom and side lite design for your front door can exactly match the design of a transom at a nearby cased-opening or French door in the foyer. 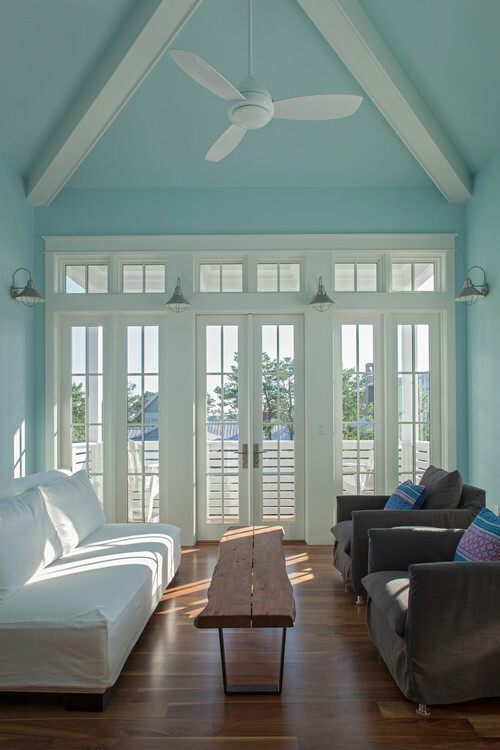 The transom from the kitchen onto the porch can match the transom from the dining room to the kitchen. Hints: If you decide to order a pre-made front door unit without side lite and/or transom sashes, let the door unit arrive and get actual measurements before ordering your sashes. You can use cut plywood to temporarily fill the holes for the 10 to 15 days until your sashes arrive. Laundry rooms, mudrooms, kitchens and master bedrooms are just a few locations that commonly contain single exterior doors. 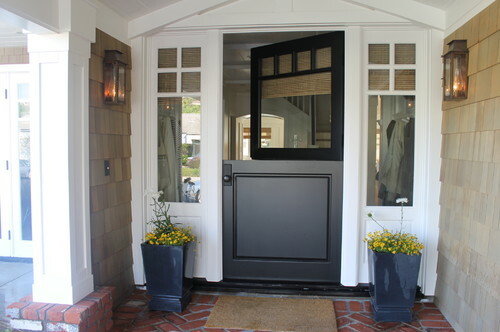 Well planned, these exterior doors can be more than just an entryway -- they can make a statement that is carried through the rest of the room. Exterior French door units are used in a wide variety of situations. 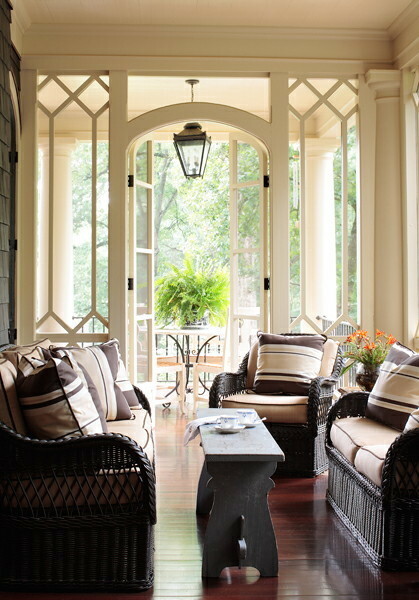 Transoms above French doors need not match the muntin pattern below. 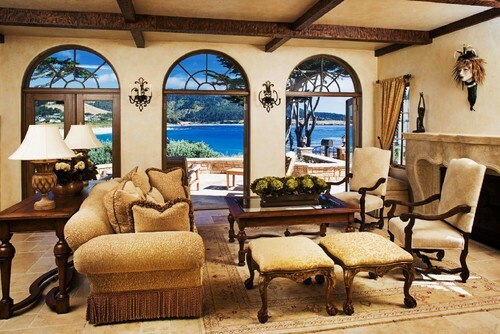 Often interesting and pleasing combinations can be found by mixing and matching styles. Hints: When ordering transoms and sidelites for stain-grade doors, ensure that you have the correct wood species when placing your order. Unlike interior pocket (sliding) doors, exterior sliding doors come with a track mechanism built into the jamb. So no extra header is needed. Hardware and door slabs for barn door sliding units are similar to pocket door units -- so a header is needed between the door and the transom units. The track above mounted on the exterior. 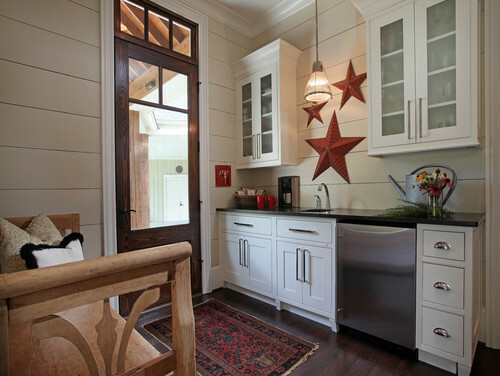 Notice how the header in barn door picture below is carefully integrated on the inside into the cabinet plan. Hints: If you are trying match the combined width of two or more sliding doors, we recommend receiving the door units and making exact measurements before ordering. Side lites almost always have to be tempered. 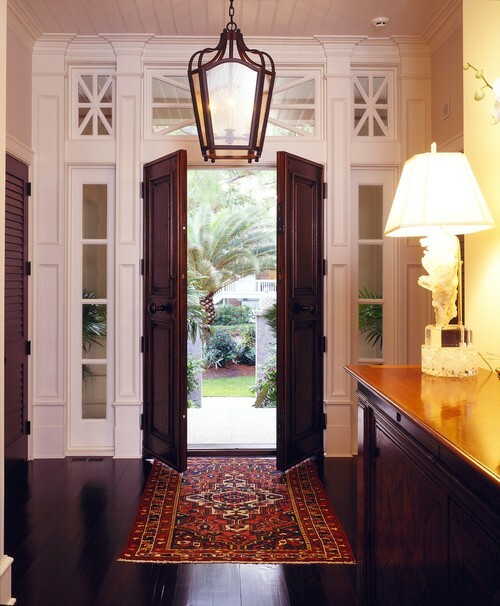 If you have a wide opening but not enough room for a transom, one or two flanking side lites can look great by themselves and provide additional light. Most any of our 30-plus transom patterns can be made into a side lite. Since everything we do is made to order, we make side lites to custom sizes for a very reasonable price within our normal delivery window. Sometimes you are looking for something that sets your project completely apart from all others. Provide us with your custom drawings and we will be happy to provide a quote (usually free of charge). We can do exterior windows in all wood, all PVC or 50/50. Don't forget our variety of glass and sticking options! 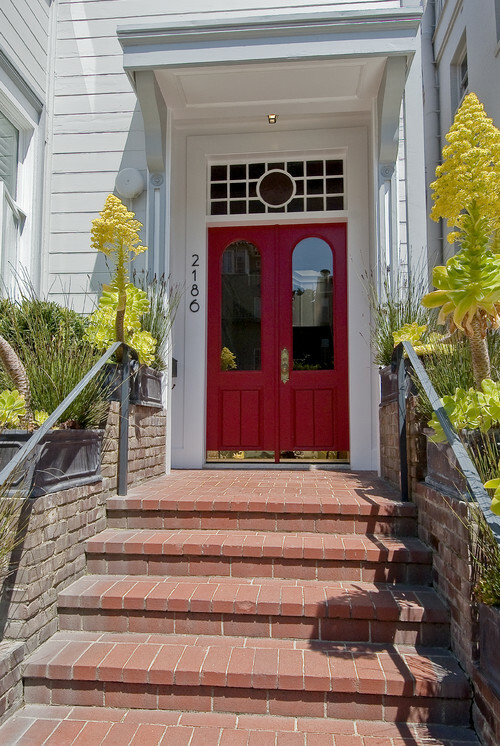 Traditional Exterior by Bryn Mawr Design-Build Firms E. B. Mahoney Builders, Inc. Above: Notice how the custom transoms over front door and window on 2nd floor coordinate with the transoms to the left and transoms inside the home.